With the 2016 Oswego Speedway championship season in the books, focus now to shifts to the Mitchell’s Speedway Press Oswego Speedway Hall of Fame Banquet set to be hosted by the Lake Ontario Event and Conference Center on November 5. The event center is part of the Best Western PLUS Captain’s Quarters and Quality Inn and Suites complex located on East First Street in Oswego. The organization is specifically looking for individuals that have knowledge of grant opportunities available for not-for profit organizations, are willing to participate in fundraising activities, and have some logistical experience. Oswego County Sheriff Reuel Todd announced that a public auction of found, abandoned, and surplus property will be held on October 18 at 10 a.m. Slated for sale at the auction are approximately 15 bicycles along with assorted other items including; electric scooter, miscellaneous electronics, kayak, miscellaneous tools and other household items. Inez Parker, director of the Michael Nupuf, Laura Lowrie play, “The Doctor Can See You Now,” has announced her cast for the upcoming dinner theater presentation. The play will be performed at the Church of the Resurrection by the Oswego Players on Oct. 21 and 22. Mostly cloudy and cool with showers likely today. High near 65. 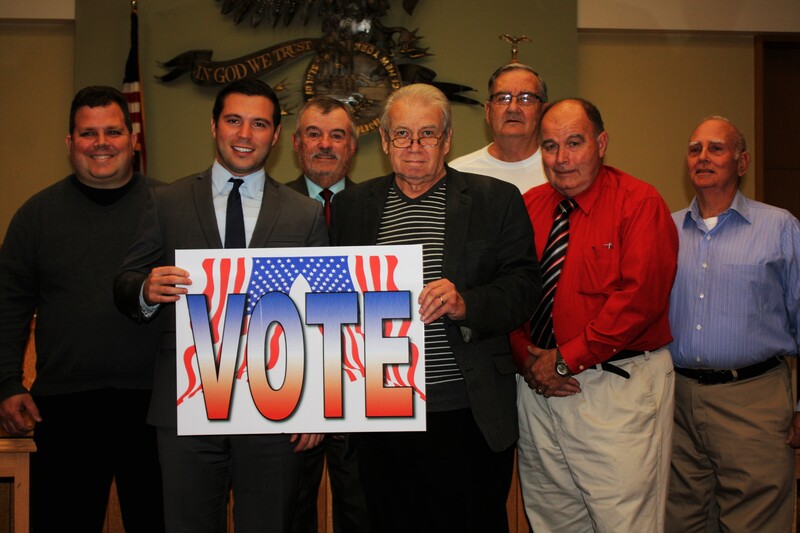 Fulton, Oswego Mayors And Other Elected Officials Urge County Residents to Vote. At Fulton City Hall recently, a “tri-partisan” group of elected officials got together to encourage local residents to participate in this year’s elections. These office holders who are Republicans, Democrats and Conservatives decided to jointly send a message to the public to please “get out and vote” on November 8. 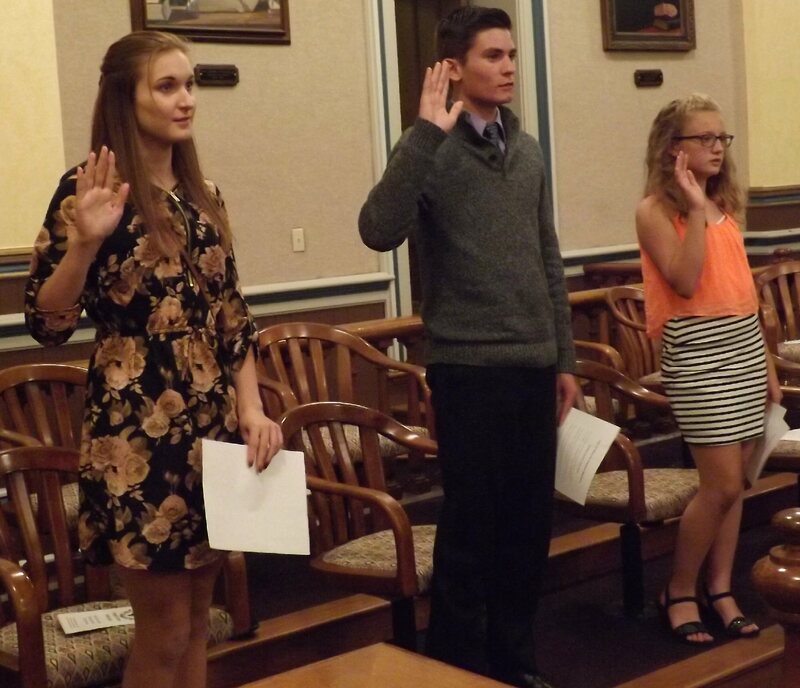 Sixteen students from around the county became the newest members of Oswego County’s Youth Court on Tuesday night. Oswego County Family Court Judge Kim Seager administered the oath at the Oswego County Courthouse on Oneida Street as members of the graduates’ families looked on, many of them taking photographs. Estimates show that every 9 seconds in the United States, a woman is beaten or assaulted and about half of all homeless women are homeless because of domestic violence. Domestic violence impacts countless individuals, regardless of age, race, religion, sexual orientation, gender, ability, or economic status. At a recent Fulton Sunrise Rotary meeting Rotarian Jeanne Cieszeski introduced Robert Lighthall STOP-DWI Coordinator. His presentation covered the many distractions of driving and how dangerous it can be.